Happy New Year! Today is the last day of 2015 so you know we had to put together a big list of paid iPhone and iPad apps on sale for free today. In fact, it’s our biggest list of the month, packed with 13 different paid iOS apps that are all on sale for free for a limited time. You can check if rain is coming, directly on your Apple Watch. 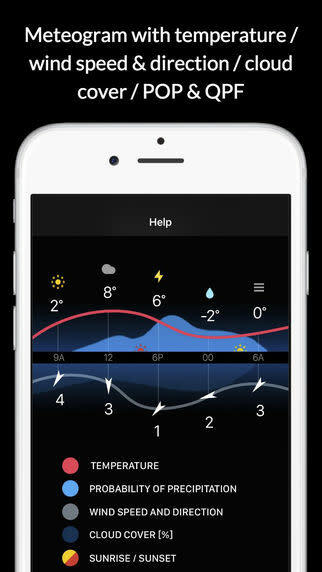 Highly accurate – it’s not guess the weather App. We don’t spam your watch with useless notifications. 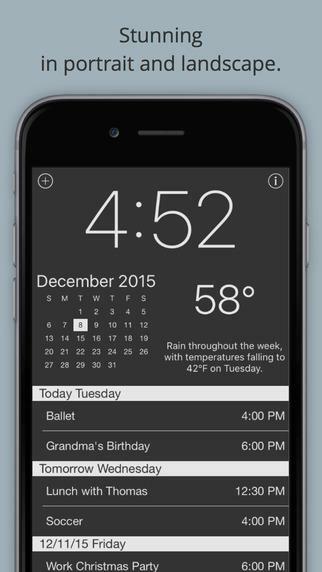 Coming soon: Rain notifications on your Apple Watch – with configurable distance. METAR notifications. This App enables hidden ;) Weather Radar for your new Apple Watch! Best among all weather Apps. In US it includes HD Radar information from NOAA and we use same data as Weather Channel Apps. Download Runtastic to reach your health and fitness goals – and have fun along the way – with our top-rated tracking app! The Runtastic app tracks your sport and fitness activities (distance, duration, speed, elevation change, calories burned & more) – such as running, jogging, biking & walking – utilizing GPS technology to help you build healthy lifestyle habits and reach exercise goals! What’s more? 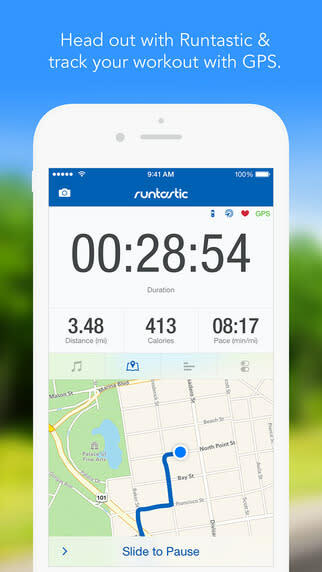 Runtastic was recently overhauled to enhance your user experience. Take this running app out for a run and enjoy improved app design, optimized features & new functionality. Should you choose to upgrade to a Premium Membership, payment will be charged to your iTunes account at confirmation of purchase. Your monthly subscription is $4.99 per month, while the yearly subscription is $29.99 per year. (Price may vary by location.) Your subscription renews automatically unless cancelled at least 24 hours prior to the end of the current period and cancellation of the current active subscription period is not allowed. 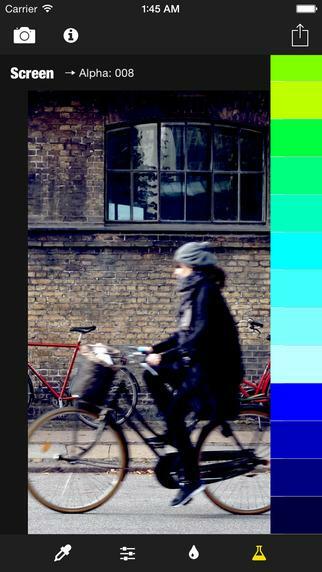 SkipBleach is an app that allows you to add “Skip Bleach” effect to your iPhone/iPhone touch photos. You do not need any difficult setting, all you need is just take photo or choose from the photo library, then swipe your finger on the screen. Skip Bleach, a.k.a. Bleach Bypass, Bleach Reduction, ENR, ACE, Sliver Retention or Silver Tint, is the process that result in a distinctive high contrast, harsh, faded look. The technique is often used extensively in motion pictures, such as “Saving Private Ryan”, “Minority Report” and “Fight Club”. 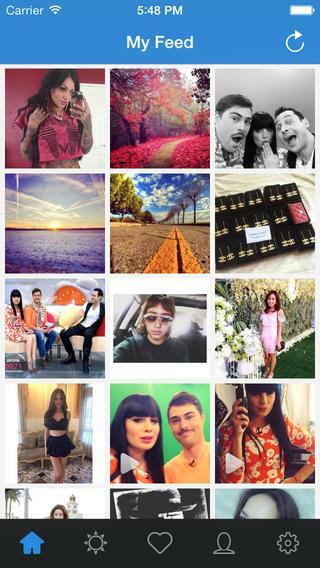 InstantRepost serves to repost Instagram photos and videos. InstantRepost makes it easy to repost your favorite photos and videos on Instagram while giving credit to the original Instagramer. – Save any of Instagram photos and videos to your iDevice. – Repost Instagram photos or videos to Facebook, Twitter etc. Experience your dads childhood games! A good game is not always a fancy game filled with 3d monsters and high-tech aliens. We believe simple ones are the best. The ones that entertained us in the old days and the simplicity was relaxing and fun ! They simply make our childhood dreams. The classic oldies that really never get old. 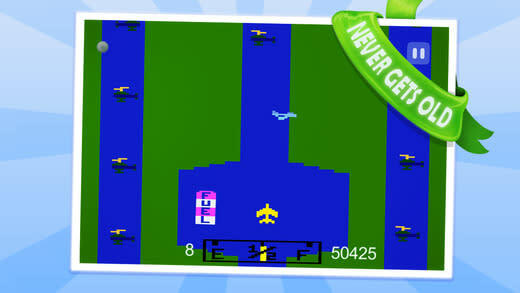 In AirFox, we travel to the 80’s and the cartridge games age. We bring you back to that childhood dream of playing an airforce pilot, sent to big missions to defend their country. Download now! 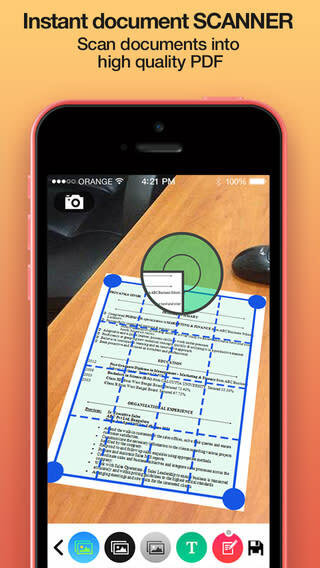 iScanPRO turns your iPhone, iPad and iPod Touch into a fully featured instant document scanner. iScanPRO allows you to scan books, checks, notes, schedules, announcements and all kinds of documents and save these documents as PDFs. You can use OCR to make a text file from PDF or just back-up your files using Dropbox, Evernote or Google Drive. − automatic adjustment of perspectives and much more. Save your multi-pages scanned documents as PDF, JPEG, PNG, TXT files, synchronize between devices using Dropbox, Evernote, as well as the «Open in» feature, by which the document can be imported into any other application that supports the above mentioned file formats (Word, Excel, Access, Power Point, Photoshop), send documents via E-mail, print them in one single tap, and much more! Browser for Tor protects you by bouncing your communications around a distributed network of relays run by volunteers all around the world: it prevents somebody watching your Internet connection from learning what sites you visit, it prevents the sites you visit from learning your physical location, and it lets you access sites which are blocked. Disclaimer: The copyright and trademark on Tor and the onion logo belongs to the Tor project. We are not endorsed by or affiliated with the Tor project. Don’t leave your iPhone asleep on your desk, put it to good use. Plug it in and use this App. Not just a clock, Work Time is your second screen. The time, date, calendar, your schedule of upcoming events, and current weather conditions all at a glance. Insanely simple to use. Elegant in its execution. Incredibly useful. 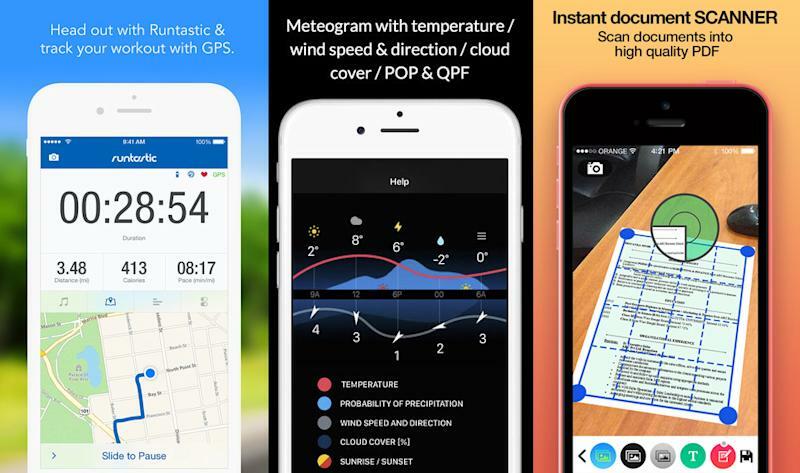 Weather and short term forecast powered by Forecast.io from the team that made the “DARK SKY” app. Never get caught off guard by the rain again. – All new for iOS 9. – Large easy to read clock. – Current month and date. – Scrollable list of all your upcoming events. 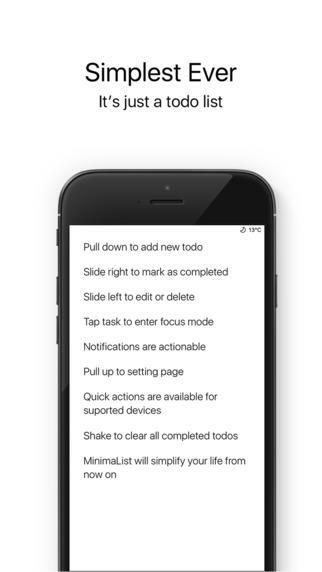 – Tap on event to edit and delete. – Tap on small + to add new events. – Current weather and short term forecast. (powered by Forecast.io). – Never get bored with over 10 different styles and colors to choose. – Dock it any way you want, it supports landscape and portrait orientation. I wanted this app but could not find its equivalent in the app store, so I made it for myself. Now I use it every day at work. Give it a try. You will not be disappointed. Translated into over 30 languages. Including English, Spanish, Russian, French, German, Italian, Turkish, Chinese, Swedish, Thai, Portuguese, Dutch, Korean, Japanese, Danish, Finnish, Vietnamese, Malay, Indonesian, Hindi, Greek, Arabic, Hungarian, Hebrew, and more. MinimaList is worth to have. 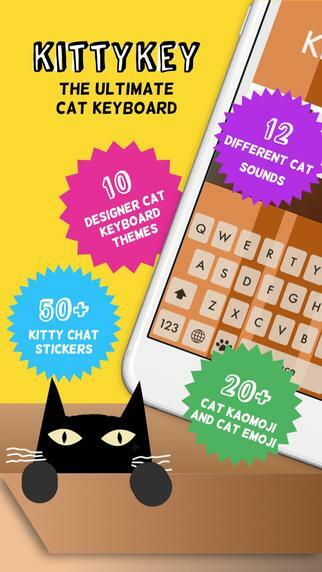 KittyKey, the iPhone and iPad keyboard that purrs, includes 10 cat themed keyboards with cat sounds like purr and meow as you type, Kitty Chat Stickers, Cat Kaomoji & Jumbo Cat Emoji. – 10 designer cat keyboard themes inspired by our favorite furry friends! Includes English Autocorrect and awesome spacebar cursor control. – Select from 12 different cat sounds while you type, including purr, meow, hiss, and even roar! Switch back to the regular keyboard click sound at any time. – Over 50 original Kitty Chat Stickers to send in messages, emails, and most social apps! They are SO Fun! Just click the paw on the keyboard! – Cat Kaomoji (Word Pictures): We love Japanese Kaomoji but hate how hard they are to type! Now you can quickly insert Cat Kaomoji without having to remember! – Jumbo Cat Emoji are just a paw click away! KittyKey is purr-fect for all ages! Don’t wait, download today! Stream Top 40 Radio, Apple Music and YouTube Videos while the onTune FM media player displays the artists social media feeds from Facebook, Twitter, Instagram, YouTube and much more! OnTune FM displays an artist or band’s social feeds based on what you, the user is listening to. Whether you are watching videos, listening to the radio or just music from your own device, with onTune FM the possibilities for new discoveries are endless. Social media feeds from the artist or band’s Facebook, Twitter, YouTube, Instagram or Soundcloud accounts engage you and allow you to get to know the artist in a way you might not have before. Searching for artists or songs has never been easier with onTune FM. View your favorite artist’s social feeds, bio, audio or video media and much more! Discover also presents you with several onTune FM recommended artists. Choose from hundreds of radio stations! Genres include, Top 40, Rock, Country, Pop, Hip Hop, Electronic, 80’s, 90’s, Adult Contemporary and Alternative. OnTune FM allows you to enter in a custom station if you know the url stream. While listening you will be presented with the radio station’s social feeds as well as the artist’s playing on air. Launch videos of the song playing when available. Updated weekly you can choose from six categories, Top 40, Pop, Rock, Country, Hip Hop and Dance videos. Add the videos to your Favorites to create the ultimate playlist for playback. Use Airplay to stream your favorite videos via Apple TV. Listen to your Apple Music playlists using onTune FM! While in Apple Music simply save your playlists or songs to My Music or offline. OnTune FM matches up the artist you are playing with their social feeds and existing media. Check out the latest music trends! OnTune FM tracks and displays a list of the top trending artists, songs or videos played from the app. Discover or rediscover artists by viewing the top played artists and their songs within the onTune FM community. By using the top trending videos as a playlist you are bound to discover something new! Check out the latest news articles from the music industries’ top sources. Add radio stations, artists, audio tracks or videos to your Favorites and play them again and again! Let onTune FM play through your entire list of audio or video favorites. Discover more about your favorite artists through their social feeds and bios. Forgot to favorite an artist or want to go back and discover more about an artist you just heard? Simply by selecting the Song History icon located on the top right of the app you can view the last 25 songs played. From there you can purchase on iTunes, discover more or add to favorites and check them out another time. Sharing has never been easier! By sharing an artist or video with someone else that has the onTune FM app installed will open that artist or video on their device. 1. The account and password information is important not live without, and sometimes multiple accounts and multiple passwords will be prone to confusion, causing the user accounts and passwords forgotten, Mastiff you can easily manage your passwords. 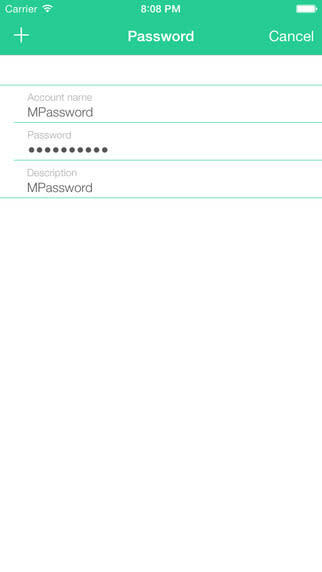 2.Mastiff is a very high security applications, can be very good to save your important information. In order to guarantee the security of your data, all data will be stored in iCloud account, you will not send any information to any third party as well as developers. Users can be assured, do not worry about information leakage and loss. 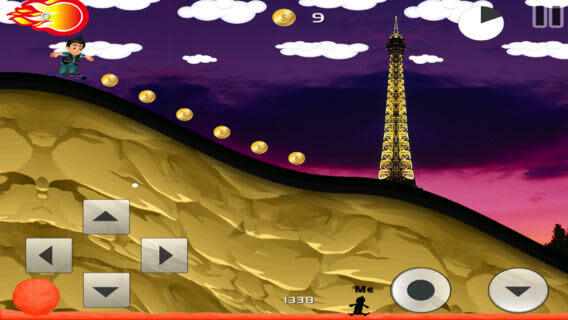 The new exciting and fun City Skate Race adventure. Skate through the cities on your longboard. Speed up and down the hills, exploring the life in the cities. You just need to hold your finger on the screen on the way down a hill and gain speed. Choose from the different cities and can even get unlimited power boosts! This is an exciting game so, get it right now!